YUSUFALI: "(One that) will (truly) represent me, and represent the posterity of Jacob; and make him, O my Lord! one with whom Thou art well-pleased!" PICKTHAL: Who shall inherit of me and inherit (also) of the house of Jacob. And make him, my Lord, acceptable (unto Thee). SHAKIR: Who should inherit me and inherit from the children of Yaqoub, and make him, my Lord, one in whom Thou art well pleased. YUSUFALI: (His prayer was answered): "O Zakariya! We give thee good news of a son: His name shall be Yahya: on none by that name have We conferred distinction before." PICKTHAL: (It was said unto him): O Zachariah! Lo! We bring thee tidings of a son whose name is John; we have given the same name to none before (him). SHAKIR: O Zakariya! surely We give you good news of a boy whose name shall be Yahya: We have not made before anyone his equal. YUSUFALI: He said: "O my Lord! How shall I have a son, when my wife is barren and I have grown quite decrepit from old age?" PICKTHAL: He said: My Lord! How can I have a son when my wife is barren and I have reached infirm old age? SHAKIR: He said: O my Lord! when shall I have a son, and my wife is barren, and I myself have reached indeed the extreme degree of old age? YUSUFALI: He said: "So (it will be) thy Lord saith, 'that is easy for Me: I did indeed create thee before, when thou hadst been nothing!'" PICKTHAL: He said: So (it will be). Thy Lord saith: It is easy for Me, even as I created thee before, when thou wast naught. SHAKIR: He said: So shall it be, your Lord says: It is easy to Me, and indeed I created you before, when you were nothing. YUSUFALI: (Zakariya) said: "O my Lord! give me a Sign." "Thy Sign," was the answer, "Shall be that thou shalt speak to no man for three nights, although thou art not dumb." PICKTHAL: He said: My Lord! Appoint for me some token. He said: Thy token is that thou, with no bodily defect, shalt not speak unto mankind three nights. SHAKIR: He said: My Lord! give me a sign. He said: Your sign is that you will not be able to speak to the people three nights while in sound health. YUSUFALI: So Zakariya came out to his people from him chamber: He told them by signs to celebrate Allah's praises in the morning and in the evening. PICKTHAL: Then he came forth unto his people from the sanctuary, and signified to them: Glorify your Lord at break of day and fall of night. SHAKIR: So he went forth to his people from his place of worship, then he made known to them that they should glorify (Allah) morning and evening. YUSUFALI: And kind to his parents, and he was not overbearing or rebellious. PICKTHAL: And dutiful toward his parents. And he was not arrogant, rebellious. SHAKIR: And dutiful to his parents, and he was not insolent, disobedient. YUSUFALI: So Peace on him the day he was born, the day that he dies, and the day that he will be raised up to life (again)! PICKTHAL: Peace on him the day he was born, and the day he dieth and the day he shall be raised alive! YUSUFALI: Relate in the Book (the story of) Mary, when she withdrew from her family to a place in the East. YUSUFALI: She placed a screen (to screen herself) from them; then We sent her our angel, and he appeared before her as a man in all respects. PICKTHAL: And had chosen seclusion from them. Then We sent unto her Our Spirit and it assumed for her the likeness of a perfect man. SHAKIR: So she took a veil (to screen herself) from them; then We sent to her Our spirit, and there appeared to her a well-made man. YUSUFALI: She said: "I seek refuge from thee to (Allah) Most Gracious: (come not near) if thou dost fear Allah." PICKTHAL: She said: Lo! I seek refuge in the Beneficent One from thee, if thou art Allah-fearing. SHAKIR: She said: Surely I fly for refuge from you to the Beneficent Allah, if you are one guarding (against evil). YUSUFALI: He said: "Nay, I am only a messenger from thy Lord, (to announce) to thee the gift of a holy son. PICKTHAL: He said: I am only a messenger of thy Lord, that I may bestow on thee a faultless son. SHAKIR: He said: I am only a messenger of your Lord: That I will give you a pure boy. YUSUFALI: She said: "How shall I have a son, seeing that no man has touched me, and I am not unchaste?" PICKTHAL: She said: How can I have a son when no mortal hath touched me, neither have I been unchaste? SHAKIR: She said: When shall I have a boy and no mortal has yet touched me, nor have I been unchaste? YUSUFALI: He said: "So (it will be): Thy Lord saith, 'that is easy for Me: and (We wish) to appoint him as a Sign unto men and a Mercy from Us':It is a matter (so) decreed." PICKTHAL: He said: So (it will be). Thy Lord saith: It is easy for Me. And (it will be) that We may make of him a revelation for mankind and a mercy from Us, and it is a thing ordained. SHAKIR: He said: Even so; your Lord says: It is easy to Me: and that We may make him a sign to men and a mercy from Us, and it is a matter which has been decreed. YUSUFALI: So she conceived him, and she retired with him to a remote place. PICKTHAL: And she conceived him, and she withdrew with him to a far place. SHAKIR: So she conceived him; then withdrew herself with him to a remote place. YUSUFALI: And the pains of childbirth drove her to the trunk of a palm-tree: She cried (in her anguish): "Ah! would that I had died before this! would that I had been a thing forgotten and out of sight!" PICKTHAL: And the pangs of childbirth drove her unto the trunk of the palm-tree. She said: Oh, would that I had died ere this and had become a thing of naught, forgotten! SHAKIR: And the throes (of childbirth) compelled her to betake herself to the trunk of a palm tree. She said: Oh, would that I had died before this, and had been a thing quite forgotten! YUSUFALI: "And shake towards thyself the trunk of the palm-tree: It will let fall fresh ripe dates upon thee. PICKTHAL: And shake the trunk of the palm-tree toward thee, thou wilt cause ripe dates to fall upon thee. YUSUFALI: "So eat and drink and cool (thine) eye. And if thou dost see any man, say, 'I have vowed a fast to (Allah) Most Gracious, and this day will I enter into not talk with any human being'"
PICKTHAL: So eat and drink and be consoled. And if thou meetest any mortal, say: Lo! I have vowed a fast unto the Beneficent, and may not speak this day to any mortal. SHAKIR: So eat and drink and refresh the eye. Then if you see any mortal, say: Surely I have vowed a fast to the Beneficent Allah, so I shall not speak to any man today. YUSUFALI: At length she brought the (babe) to her people, carrying him (in her arms). They said: "O Mary! truly an amazing thing hast thou brought! PICKTHAL: Then she brought him to her own folk, carrying him. They said: O Mary! Thou hast come with an amazing thing. SHAKIR: And she came to her people with him, carrying him (with her). They said: O Marium! surely you have done a strange thing. YUSUFALI: "O sister of Aaron! Thy father was not a man of evil, nor thy mother a woman unchaste!" PICKTHAL: O sister of Aaron! Thy father was not a wicked man nor was thy mother a harlot. SHAKIR: O sister of Haroun! your father was not a bad man, nor, was your mother an unchaste woman. YUSUFALI: But she pointed to the babe. They said: "How can we talk to one who is a child in the cradle?" PICKTHAL: Then she pointed to him. They said: How can we talk to one who is in the cradle, a young boy? SHAKIR: But she pointed to him. They said: How should we speak to one who was a child in the cradle? PICKTHAL: And (hath made me) dutiful toward her who bore me, and hath not made me arrogant, unblest. YUSUFALI: "So peace is on me the day I was born, the day that I die, and the day that I shall be raised up to life (again)"! PICKTHAL: Peace on me the day I was born, and the day I die, and the day I shall be raised alive! SHAKIR: And peace on me on the day I was born, and on the day I die, and on the day I am raised to life. YUSUFALI: Such (was) Jesus the son of Mary: (it is) a statement of truth, about which they (vainly) dispute. PICKTHAL: Such was Jesus, son of Mary: (this is) a statement of the truth concerning which they doubt. SHAKIR: Such is Isa, son of Marium; (this is) the saying of truth about which they dispute. YUSUFALI: It is not befitting to (the majesty of) Allah that He should beget a son. Glory be to Him! when He determines a matter, He only says to it, "Be", and it is. PICKTHAL: It befitteth not (the Majesty of) Allah that He should take unto Himself a son. Glory be to Him! When He decreeth a thing, He saith unto it only: Be! and it is. SHAKIR: It beseems not Allah that He should take to Himself a ! son, glory to be Him; when He has decreed a matter He only says to it "Be," and it is. YUSUFALI: Verily Allah is my Lord and your Lord: Him therefore serve ye: this is a Way that is straight. PICKTHAL: And lo! Allah is my Lord and your Lord. So serve Him. That is the right path. SHAKIR: And surely Allah is my Lord and your Lord, therefore serve Him; this is the right path. YUSUFALI: But the sects differ among themselves: and woe to the unbelievers because of the (coming) Judgment of a Momentous Day! PICKTHAL: The sects among them differ: but woe unto the disbelievers from the meeting of an awful Day. YUSUFALI: How plainly will they see and hear, the Day that they will appear before Us! but the unjust today are in error manifest! PICKTHAL: See and hear them on the Day they come unto Us! yet the evil-doers are to-day in error manifest. SHAKIR: How clearly shall they hear and how clearly shall they see on the day when they come to Us; but the unjust this day are in manifest error. YUSUFALI: But warn them of the Day of Distress, when the matter will be determined: for (behold,) they are negligent and they do not believe! PICKTHAL: And warn them of the Day of anguish when the case hath been decided. Now they are in a state of carelessness, and they believe not. SHAKIR: And warn them of the day of intense regret, when the matter shall have been decided; and they are (now) in negligence and they do not believe. YUSUFALI: It is We Who will inherit the earth, and all beings thereon: to Us will they all be returned. PICKTHAL: Lo! We, only We, inherit the earth and all who are thereon, and unto Us they are returned. SHAKIR: Surely We inherit the earth and all those who are on it, and to Us they shall be returned. YUSUFALI: (Also mention in the Book (the story of) Abraham: He was a man of Truth, a prophet. PICKTHAL: And make mention (O Muhammad) in the Scripture of Abraham. Lo! he was a saint, a prophet. SHAKIR: And mention Ibrahim in the Book; surely he was a truthful man, a prophet. YUSUFALI: Behold, he said to his father: "O my father! why worship that which heareth not and seeth not, and can profit thee nothing? PICKTHAL: When he said unto his father: O my father! Why worshippest thou that which heareth not nor seeth, nor can in aught avail thee? YUSUFALI: "O my father! to me hath come knowledge which hath not reached thee: so follow me: I will guide thee to a way that is even and straight. PICKTHAL: O my father! Lo! there hath come unto me of knowledge that which came not unto thee. So follow me, and I will lead thee on a right path. YUSUFALI: "O my father! serve not Satan: for Satan is a rebel against (Allah) Most Gracious. PICKTHAL: O my father! Serve not the devil. Lo! the devil is a rebel unto the Beneficent. YUSUFALI: "O my father! I fear lest a Penalty afflict thee from (Allah) Most Gracious, so that thou become to Satan a friend." PICKTHAL: O my father! Lo! I fear lest a punishment from the Beneficent overtake thee so that thou become a comrade of the devil. SHAKIR: O my father! surely I fear that a punishment from the Beneficent Allah should afflict you so that you should be a friend of the Shaitan. YUSUFALI: (The father) replied: "Dost thou hate my gods, O Abraham? If thou forbear not, I will indeed stone thee: Now get away from me for a good long while!" PICKTHAL: He said: Rejectest thou my gods, O Abraham? If thou cease not, I shall surely stone thee. Depart from me a long while! SHAKIR: He said: Do you dislike my gods, O Ibrahim? If you do not desist I will certainly revile you, and leave me for a time. YUSUFALI: Abraham said: "Peace be on thee: I will pray to my Lord for thy forgiveness: for He is to me Most Gracious. PICKTHAL: He said: Peace be unto thee! I shall ask forgiveness of my Lord for thee. Lo! He was ever gracious unto me. YUSUFALI: "And I will turn away from you (all) and from those whom ye invoke besides Allah: I will call on my Lord: perhaps, by my prayer to my Lord, I shall be not unblest." PICKTHAL: I shall withdraw from you and that unto which ye pray beside Allah, and I shall pray unto my Lord. It may be that, in prayer unto my Lord, I shall not be unblest. SHAKIR: And I will withdraw from you and what you call on besides Allah, and I will call upon my Lord; may be I shall not remain unblessed in calling upon my Lord. YUSUFALI: When he had turned away from them and from those whom they worshipped besides Allah, We bestowed on him Isaac and Jacob, and each one of them We made a prophet. PICKTHAL: So, when he had withdrawn from them and that which they were worshipping beside Allah, We gave him Isaac and Jacob. Each of them We made a prophet. SHAKIR: So when he withdrew from them and what they worshipped besides Allah, We gave to him Ishaq and Yaqoub, and each one of them We made a prophet. YUSUFALI: And We bestowed of Our Mercy on them, and We granted them lofty honour on the tongue of truth. PICKTHAL: And we gave them of Our mercy, and assigned to them a high and true renown. SHAKIR: And We granted to them of Our mercy, and We left (behind them) a truthful mention of eminence for them. YUSUFALI: Also mention in the Book (the story of) Moses: for he was specially chosen, and he was a messenger (and) a prophet. PICKTHAL: And make mention in the Scripture of Moses. Lo! he was chosen, and he was a messenger (of Allah), a prophet. SHAKIR: And mention Musa in the Book; surely he was one purified, and he was a messenger, a prophet. YUSUFALI: And we called him from the right side of Mount (Sinai), and made him draw near to Us, for mystic (converse). PICKTHAL: We called him from the right slope of the Mount, and brought him nigh in communion. SHAKIR: And We called to him from the blessed side of the mountain, and We made him draw nigh, holding communion (with Us). YUSUFALI: And, out of Our Mercy, We gave him his brother Aaron, (also) a prophet. PICKTHAL: And We bestowed upon him of Our mercy his brother Aaron, a prophet (likewise). SHAKIR: And We gave to him out of Our mercy his brother Haroun a prophet. YUSUFALI: Also mention in the Book (the story of) Isma'il: He was (strictly) true to what he promised, and he was a messenger (and) a prophet. PICKTHAL: And make mention in the Scripture of Ishmael. Lo! he was a keeper of his promise, and he was a messenger (of Allah), a prophet. 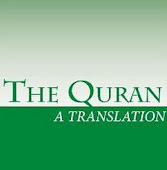 SHAKIR: And mention Ismail in the Book; surely he was truthful in (his) promise, and he was a messenger, a prophet. YUSUFALI: He used to enjoin on his people Prayer and Charity, and he was most acceptable in the sight of his Lord. PICKTHAL: He enjoined upon his people worship and almsgiving, and was acceptable in the sight of his Lord. SHAKIR: And he enjoined on his family prayer and almsgiving, and was one in whom his Lord was well pleased. YUSUFALI: And We raised him to a lofty station. PICKTHAL: And We raised him to high station. SHAKIR: And We raised him high in Heaven. YUSUFALI: Those were some of the prophets on whom Allah did bestow His Grace,- of the posterity of Adam, and of those who We carried (in the Ark) with Noah, and of the posterity of Abraham and Israel of those whom We guided and chose. Whenever the Signs of (Allah) Most Gracious were rehearsed to them, they would fall down in prostrate adoration and in tears. PICKTHAL: These are they unto whom Allah showed favour from among the prophets, of the seed of Adam and of those whom We carried (in the ship) with Noah, and of the seed of Abraham and Israel, and from among those whom We guided and chose. When the revelations of the Beneficent were recited unto them, they fell down, adoring and weeping. SHAKIR: These are they on whom Allah bestowed favors, from among the prophets of the seed of Adam, and of those whom We carried with Nuh, and of the seed of Ibrahim and Israel, and of those whom We guided and chose; when the communications of the Beneficent Allah were recited to them, they fell down making obeisance and weeping. PICKTHAL: Now there hath succeeded them a later generation whom have ruined worship and have followed lusts. But they will meet deception. YUSUFALI: Gardens of Eternity, those which (Allah) Most Gracious has promised to His servants in the Unseen: for His promise must (necessarily) come to pass. SHAKIR: The gardens of perpetuity which the Beneficent Allah has promised to His servants while unseen; surely His promise shall come to pass. YUSUFALI: They will not there hear any vain discourse, but only salutations of Peace: And they will have therein their sustenance, morning and evening. PICKTHAL: They hear therein no idle talk, but only Peace; and therein they have food for morn and evening. SHAKIR: They shall not hear therein any vain discourse, but only: Peace, and they shall have their sustenance therein morning and evening. YUSUFALI: Such is the Garden which We give as an inheritance to those of Our servants who guard against Evil. PICKTHAL: Such is the Garden which We cause the devout among Our bondmen to inherit. SHAKIR: And we do not descend but by the command of your Lord; to Him belongs whatever is before us and whatever is behind us and whatever is between these, and your Lord is not forgetful. YUSUFALI: "Lord of the heavens and of the earth, and of all that is between them; so worship Him, and be constant and patient in His worship: knowest thou of any who is worthy of the same Name as He?" PICKTHAL: Lord of the heavens and the earth and all that is between them! Therefor, worship thou Him and be thou steadfast in His service. Knowest thou one that can be named along with Him? SHAKIR: The Lord of the heavens and the earth and what is between them, so serve Him and be patient in His service. Do you know any one equal to Him? YUSUFALI: Man says: "What! When I am dead, shall I then be raised up alive?" PICKTHAL: And man saith: When I am dead, shall I forsooth be brought forth alive? SHAKIR: And says man: What! when I am dead shall I truly be brought forth alive? YUSUFALI: But does not man call to mind that We created him before out of nothing? PICKTHAL: Doth not man remember that We created him before, when he was naught? SHAKIR: Does not man remember that We created him before, when he was nothing? PICKTHAL: And, by thy Lord, verily We shall assemble them and the devils, then We shall bring them, crouching, around hell. SHAKIR: So by your Lord! We will most certainly gather them together and the Shaitans, then shall We certainly cause them to be present round hell on their knees. YUSUFALI: Then shall We certainly drag out from every sect all those who were worst in obstinate rebellion against (Allah) Most Gracious. PICKTHAL: Then We shall pluck out from every sect whichever of them was most stubborn in rebellion to the Beneficent. SHAKIR: Then We will most certainly draw forth from every sect of them him who is most exorbitantly rebellious against the Beneficent Allah. YUSUFALI: And certainly We know best those who are most worthy of being burned therein. PICKTHAL: And surely We are Best Aware of those most worthy to be burned therein. SHAKIR: Again We do certainly know best those who deserve most to be burned therein. YUSUFALI: Not one of you but will pass over it: this is, with thy Lord, a Decree which must be accomplished. PICKTHAL: There is not one of you but shall approach it. That is a fixed ordinance of thy Lord. SHAKIR: And there is not one of you but shall come to it; this is an unavoidable decree of your Lord. YUSUFALI: But We shall save those who guarded against evil, and We shall leave the wrong-doers therein, (humbled) to their knees. PICKTHAL: Then We shall rescue those who kept from evil, and leave the evil-doers crouching there. SHAKIR: And We will deliver those who guarded (against evil), and We will leave the unjust therein on their knees. YUSUFALI: When Our Clear Signs are rehearsed to them, the Unbelievers say to those who believe, "Which of the two sides is best in point of position? Which makes the best show in council?" PICKTHAL: And when Our clear revelations are recited unto them, those who disbelieve say unto those who believe: Which of the two parties (yours or ours) is better in position, and more imposing as an army? SHAKIR: And when Our clear communications are recited to them, those who disbelieve say to those who believe: Which of the two parties is best in abiding and best in assembly? YUSUFALI: But how many (countless) generations before them have we destroyed, who were even better in equipment and in glitter to the eye? PICKTHAL: How many a generation have We destroyed before them, who were more imposing in respect of gear and outward seeming! SHAKIR: And how many of the generations have We destroyed before them who were better in respect of goods and outward appearance! YUSUFALI: Say: "If any men go astray, (Allah) Most Gracious extends (the rope) to them, until, when they see the warning of Allah (being fulfilled) - either in punishment or in (the approach of) the Hour,- they will at length realise who is worst in position, and (who) weakest in forces! PICKTHAL: Say: As for him who is in error, the Beneficent will verily prolong his span of life until, when they behold that which they were promised, whether it be punishment (in the world), or the Hour (of doom), they will know who is worse in position and who is weaker as an army. YUSUFALI: "And Allah doth advance in guidance those who seek guidance: and the things that endure, Good Deeds, are best in the sight of thy Lord, as rewards, and best in respect of (their) eventual return." PICKTHAL: Allah increaseth in right guidance those who walk aright, and the good deeds which endure are better in thy Lord's sight for reward, and better for resort. SHAKIR: And Allah increases in guidance those who go aright; and ever-abiding good works are with your Lord best in recompense and best in yielding fruit. YUSUFALI: Hast thou then seen the (sort of) man who rejects Our Signs, yet says: "I shall certainly be given wealth and children?" PICKTHAL: Hast thou seen him who disbelieveth in Our revelations and saith: Assuredly I shall be given wealth and children? SHAKIR: Have you, then, seen him who disbelieves in Our communications and says: I shall certainly be given wealth and children? YUSUFALI: Has he penetrated to the Unseen, or has he taken a contract with (Allah) Most Gracious? PICKTHAL: Hath he perused the Unseen, or hath he made a pact with the Beneficent? SHAKIR: Has he gained knowledge of the unseen, or made a covenant with the Beneficent Allah? YUSUFALI: Nay! We shall record what he says, and We shall add and add to his punishment. PICKTHAL: Nay, but We shall record that which he saith and prolong for him a span of torment. YUSUFALI: To Us shall return all that he talks of and he shall appear before Us bare and alone. PICKTHAL: And We shall inherit from him that whereof he spake, and he will come unto Us, alone (without his wealth and children). SHAKIR: And We will inherit of him what he says, and he shall come to Us alone. YUSUFALI: And they have taken (for worship) gods other than Allah, to give them power and glory! PICKTHAL: And they have chosen (other) gods beside Allah that they may be a power for them. YUSUFALI: Instead, they shall reject their worship, and become adversaries against them. PICKTHAL: Nay, but they will deny their worship of them, and become opponents unto them. SHAKIR: By no means! They shall soon deny their worshipping them, and they shall be adversaries to them. YUSUFALI: Seest thou not that We have set the Evil Ones on against the unbelievers, to incite them with fury? PICKTHAL: Seest thou not that We have set the devils on the disbelievers to confound them with confusion? SHAKIR: Do you not see that We have sent the Shaitans against the unbelievers, inciting them by incitement? YUSUFALI: So make no haste against them, for We but count out to them a (limited) number (of days). PICKTHAL: So make no haste against them (O Muhammad). We do but number unto them a sum (of days). SHAKIR: Therefore be not in haste against them, We only number out to them a number (of days). PICKTHAL: On the day when We shall gather the righteous unto the Beneficent, a goodly company. YUSUFALI: None shall have the power of intercession, but such a one as has received permission (or promise) from (Allah) Most Gracious. PICKTHAL: They will have no power of intercession, save him who hath made a covenant with his Lord. SHAKIR: They shall not control intercession, save he who has made a covenant with the Beneficent Allah. YUSUFALI: They say: "(Allah) Most Gracious has begotten a son!" PICKTHAL: And they say: The Beneficent hath taken unto Himself a son. SHAKIR: And they say: The Beneficent Allah has taken (to Himself) a son. YUSUFALI: Indeed ye have put forth a thing most monstrous! YUSUFALI: That they should invoke a son for (Allah) Most Gracious. SHAKIR: That they ascribe a son to the Beneficent Allah. YUSUFALI: For it is not consonant with the majesty of (Allah) Most Gracious that He should beget a son. PICKTHAL: When it is not meet for (the Majesty of) the Beneficent that He should choose a son. SHAKIR: And it is not worthy of the Beneficent Allah that He should take (to Himself) a son. YUSUFALI: Not one of the beings in the heavens and the earth but must come to (Allah) Most Gracious as a servant. PICKTHAL: There is none in the heavens and the earth but cometh unto the Beneficent as a slave. SHAKIR: There is no one in the heavens and the earth but will come to the Beneficent Allah as a servant. YUSUFALI: He does take an account of them (all), and hath numbered them (all) exactly. PICKTHAL: Verily He knoweth them and numbereth them with (right) numbering. SHAKIR: Certainly He has a comprehensive knowledge of them and He has numbered them a (comprehensive) numbering. YUSUFALI: And everyone of them will come to Him singly on the Day of Judgment. PICKTHAL: And each one of them will come unto Him on the Day of Resurrection, alone. SHAKIR: And every one of them will come to Him on the day of resurrection alone. YUSUFALI: On those who believe and work deeds of righteousness, will (Allah) Most Gracious bestow love. PICKTHAL: Lo! those who believe and do good works, the Beneficent will appoint for them love. SHAKIR: Surely (as for) those who believe and do good deeds for t them will Allah bring about love. YUSUFALI: So have We made the (Qur'an) easy in thine own tongue, that with it thou mayest give Glad Tidings to the righteous, and warnings to people given to contention. PICKTHAL: And We make (this Scripture) easy in thy tongue, (O Muhammad) only that thou mayst bear good tidings therewith unto those who ward off (evil), and warn therewith the froward folk. SHAKIR: So We have only made it easy in your tongue that you may give good news thereby to those who guard (against evil) and warn thereby a vehemently contentious people. YUSUFALI: But how many (countless) generations before them have We destroyed? Canst thou find a single one of them (now) or hear (so much as) a whisper of them? PICKTHAL: And how many a generation before them have We destroyed! Canst thou (Muhammad) see a single man of them, or hear from them the slightest sound? SHAKIR: And how many a generation have We destroyed before them! Do you see any one of them or hear a sound of them?